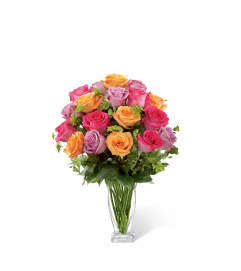 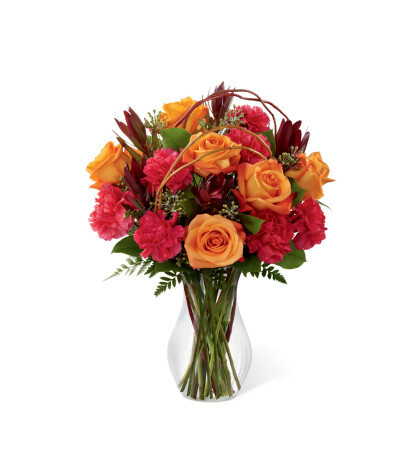 The FTD® Happiness™ Bouquet is blooming with vibrant color to bring smiles and delight to your special recipient! 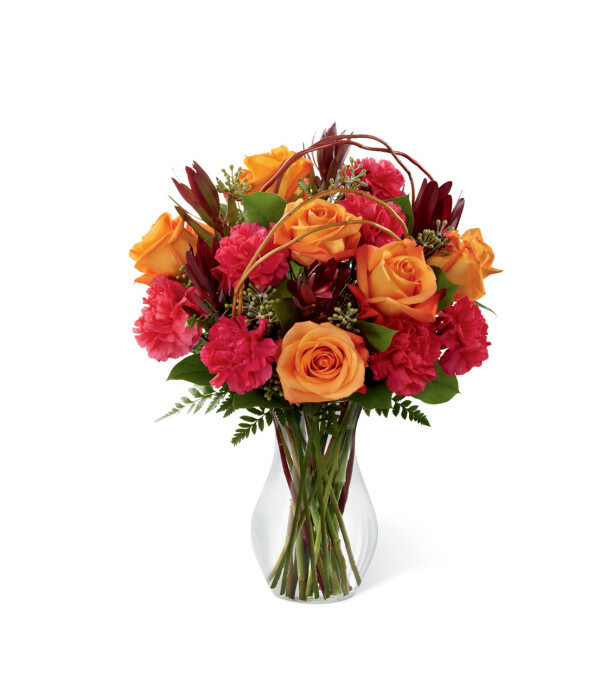 Orange roses and fuchsia carnations are brought together with a variety of lush greens and accented with curly willow branches to create a memorable bouquet of eye-catching beauty. 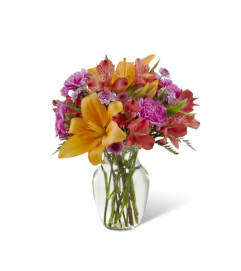 Seated in a classic clear glass vase, this bouquet is the perfect way turn any day into a celebration.